Dreamhost : It is one of the most preferred hosts. Dreamhost offers both standard shared plans with prices starting as low as $ 8.95 per month. Dedicated plans for clients with larger bandwidth and space requirements. The company provides its customers with regular perks and added features: one-click install, unlimited databases, unlimited email accounts, Google apps support, unlimited bandwidth etc. Money back guarantee, uptime guarantee and great customer support is provided. 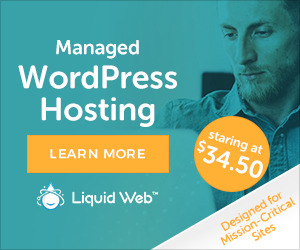 Hostgator : Hostgator offers unlimited disk space, unlimited bandwidth, easy to install site templates and uptime guarantee all starting from $ 3.96 per month. Other low-end features like: unlimited email, 1-click install, Google Adwords credit are added to the kitty. Linode : Users use Linode as remote desktop replacements while others use as private, cloud-based application servers and to host webapps and blogs. Full SSH and root access is provided on servers. Prices vary according to the type of server required. It starts from $ 19.95 per month fees. A Small Orange : A Small Orange has its serious focus on customer service rather than size and extent. User can get a variety of plans with different bandwidth and disk space options. It also features unlimited databases, email addresses and sub-domains. Cost is as low as $ 2.91 per month. Plans are chalked out to suit every budget and need. Quality support, 24 hours a day, seven days a week and commitment for quality customer support are its added features. The consumer has a lot to choose from but these top five are the best rated web hosting providers.